There are many benefits of joining the Northern California Art Therapy Association (NorCATA), and we welcome your interest in joining our community of involved local art therapists and students in our professional association. Board members are expected to be concurrent members of The American Art Therapy Association (AATA). Students, Retired Professionals and Contributing Friends do not need to be members of AATA. Associate Professional - $30.00 (USD) Subscription period: 1 year Automatic renewal (recurring payments) Subscription period: annualized. Payments are recurring until canceled. 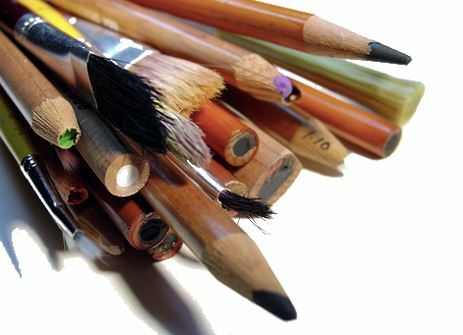 Individuals interested in art therapy and who wish to support the purposes and objectives of the association. This category is not open to individuals who have completed art therapy education programs or are working as art therapists. Associate Professional members may not vote or serve on the NorCATA executive board. Associate members are eligible to participate in all activities of the association and receive all publications. Individuals who do not meet qualifications for the other membership categories. Open to individuals nationally or internationally who are interested in the therapeutic use of art including physicians, psychologists or educators. Friends shall be eligible to receive all official publications, to attend meetings, but shall not have the right to vote, hold office, or serve on a committee. AATA membership not required. Credentialed Professional - $35.00 (USD) Subscription period: 1 year Automatic renewal (recurring payments) Subscription period: annualized. Professional - $35.00 (USD) Subscription period: 1 year Automatic renewal (recurring payments) Subscription period: annualized. Open to individuals who have completed graduate level training in art therapy are eligible for a Professional Membership. Professional members are eligible to vote, hold office, serve on committees, receive all official Association publications, and all other rights and benefits provided by the Association. Concurrent AATA membership required. This membership category may be conferred upon any member of NorCATA in recognition of distinguished service in the field of art therapy and to the purposes and objectives of NorCATA. Honorary Life Members (HLMs) shall have all the rights and privileges of Credentialed Professional membership with a lower payment by $20. The membership fee is waived for retired professionals who are also Honorary Lifetime Members. No concurrent AATA membership required. Open to individuals who do not meet the qualifications of professional membership and who are currently taking courses in art therapy or a related field shall be eligible for student membership. students officially enrolled in art therapy education and training courses. Such members may not vote or hold office, but may serve on such committees as the Board of Directors may from time to time delegate; and will receive all official publications. AATA membership required.